Thanks for the Hemi. triedrus offer. I'm at capacity right now with limited space for the babies that should be coming soon. I have 8 eggs in incubator so far: 4 leo and 4 Coleonyx v.b. I looked at some pictures of the Hemis since I'm not familiar with them and they're nice looking but I think I've reached my species limit. I have to admit, though that the l. williamsi are looking very tempting and if I ever find a place to put another tank or if you ever succeed in breeding them I may be interested. 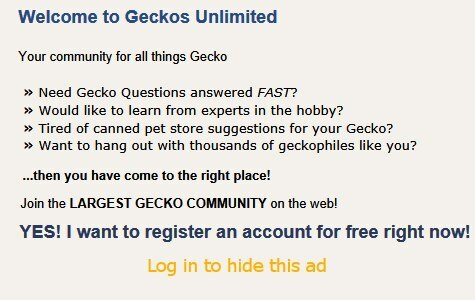 One suggestion for trading what you have, if you want to do this, is to look into the New England Reptile Association (http://www.neraforum.com/) and see if anyone there is interested. It has been a very active forum lately. Oceans , reefs , and all its glory . Herps , and there habitats .